Real-time marketing or reactive marketing is “off the cuff,” “on the fly,” or spontaneous, “unplanned” responses to a particular time or event. 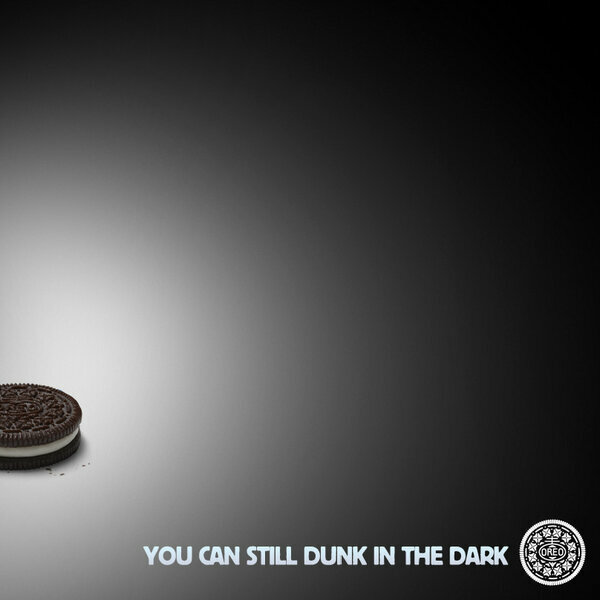 Often, whenever “real-time marketing” is brought up, marketers will reference the infamous Oreo “Oreo's Super Bowl Tweet: 'You Can Still Dunk In The Dark'” incident that occurred when the lights went out during Super Bowl XLVII in New Orleans. Social media has changed the game so that every event from the Grammy’s (we see you Pharrell and Arby’s) to a made up national holiday is an opportunity for marketers to celebrate their brand, make a comment, or attract attention. Isn’t that what marketers crave? More views, more clicks, more praise, more audience. So what are the perks to never missing a moment? When is it best to take advantage or “pounce” on a moment? Even if the post is not “evergreen”, if it makes the brand more memorable or puts the brand on the map to stand out against its competitors, then the real-time marketing was worth it. The Oreo incident happened in the 2013 Super Bowl and it is STILL referenced as the epitome of brilliant real-time marketing. Consumers are the heartbeat of a brand. If their needs are not at the focal point of an action, don’t waste the effort. Reacting to something that may not directly relate to the product of the brand but stands with the values of the brand and consumer is powerful. McDonald’s decided to stand with women on International Women’s Day by flipping their “M.” Even if it seemed silly, it it was a thoughtful statement that was shared across social platforms - causing an awareness for the holiday and where the brand stands. Commenting just for the sake of commenting does not always benefit the brand or consumer. Be consistent with posting, copy, and personality. Chime in when something is related to the brand or affects the consumer in some way. Sometimes, it isn’t necessary to react quickly at all. Just because there may be an opportunity to publicize the brand, doesn’t always mean it is the right course of action. Stay out of conversations that are not authentically relevant. When Donald Trump Jr. used Skittles as an example in a tweet to express his personal beliefs about immigration in 2016 instead of capitalizing on the moment, Skittles wrote a response that coincided with their brand’s own values. This action, in turn, resulted in Skittles receiving more positive feedback, support, and engagement from followers. How can brands be ready when an opportunity presents itself? Marketers can’t always expect the inevitable, but keeping track of trends, owning a calendar of important events/dates, and maintaining an awareness of current events/issues will help marketers stay alert when it’s most notable. In order to capitalize on “real-time marketing” opportunities, brands must build trust in advance with senior leadership and the legal team to ensure that the marketing team will be given enough leeway to pounce. Read Related - Congrats, You Went Viral... Now What? Reactive marketing is a brilliant method for marketers to kick start campaigns, outshine their competitors, show off their clever personality, or exhibit their values. People will do just about anything to escape the constant barrage of advertisements shoved their way every day...that is, unless we’re talking about the Super Bowl. In fact, according to Burson-Marsteller, 53% of Americans would be disappointed if the Super Bowl went commercial-free. The combination of a live TV event that reaches over 100 million people, along with the diverse and captive nature of its audience has caused the Super Bowl’s commercials to transform into a beacon for creativity in advertising. It’s undeniable that hashtag hijacking is a crucial part of any brand’s social media marketing strategy. By using hashtags to participate in the conversation around current events and/or controversies, brands can humanize themselves while driving engagement and organic reach. So where is the line and what can we learn from past brands’ mistakes? There's no real "blueprint" for brands to handle the onslaught of attention that a viral post, game, product, or piece of content garners…but here are some tips and real-life example of brands who somehow managed to crack the code and gain traction. For more information on marketing resources and industry trends, subscribe to the AgencySparks Newsletter.